Green Ring Rock. Photo by Grey Catsidhe, 2014. So I changed that. Sniffles be damned! I went into the forest and reacquainted myself with the trees. I’ve found that the old place I gravitated towards to make offerings no longer feels right. It is too high traffic in some ways. It’s too near the entrance to the forest. Too convenient for others to access. By others, I mean those who don’t understand what I’m doing and move stones, leave trash, or spray-paint the trees. Most people view the forest as a sort of playground, not a sacred place, let alone a home to millions of other lives. The old place needs healing and attention, but sometimes a Druid just wants to reconnect and feel at peace. Look for the oaks… Photo by Grey Catsidhe, 2014. I felt called to the opposite end of the forest, so I let myself wander there. 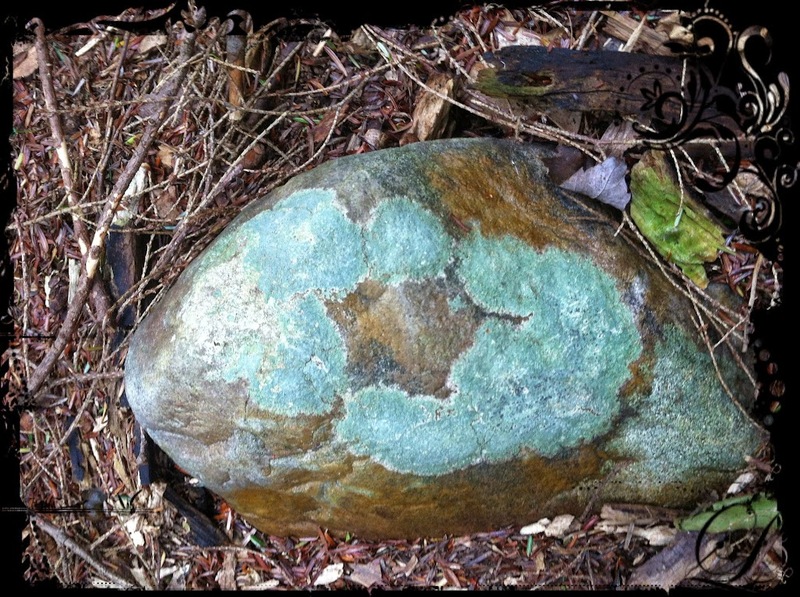 I felt particularly drawn to the rocks and their lichens. I noticed the fallen hickory and acorn shells. Autumn is a wonderful time to learn about the tree population in the forest. Prior to today, I hadn’t realized how many shagbark hickories are in the forest! I found myself drawn to an oak tree. 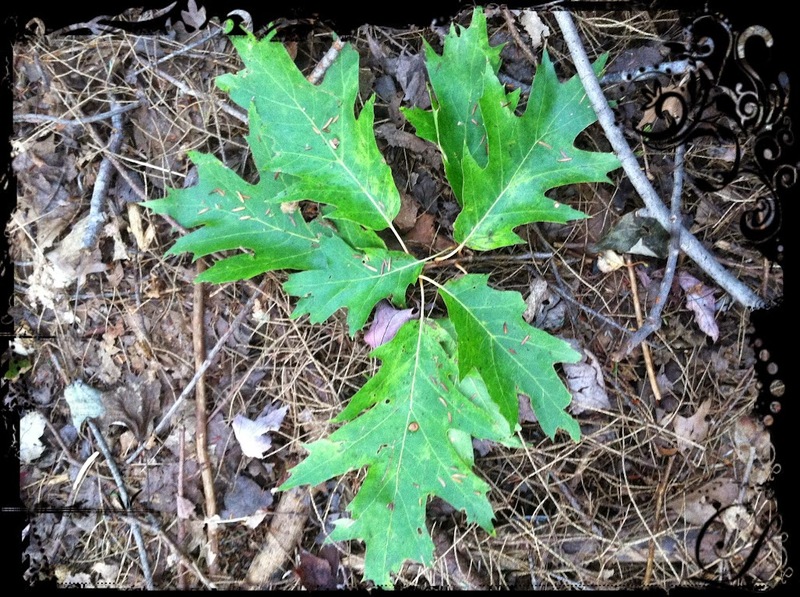 I collected numerous acorn crafts for a project and then realized that I’d found a small grove of trees – the oak, an old hemlock, a hickory, and some maples. They formed a near perfect circle. The lyrics, “We approach the sacred grove,” left my lips and I found myself circling clockwise. I made offerings and the wind rushed through my hair, filling me with joy. I felt myself entranced by the swaying trees, especially the majestic maples towering above, already changing from green to golden and crimson. I found a new quiet place to commune with the forest, and I left with a pocketful of acorn caps, and a handful of litter. I feel reinvigorated and ready for the coming week. I feel more connected to the land, to my Druidism, and to my spirit. I think my nasal passages even felt a little clearer! I miss seeing my friends and exploring other perspectives, but I’m grateful for the opportunity to visit the forest and be alone with my thoughts. Today I was a proud Pagan in the woods. on September 20, 2014 at 7:57 pm Crystal L.
Although there is much to be said for finding fellowship with others, there is even more to be said for finding fellowship among nature. Sometimes solitude is what our souls truly need. I’m glad you found yours today.